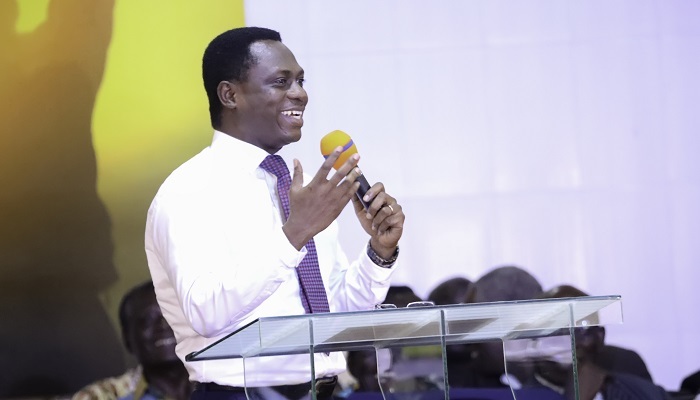 The Chairman of The Church of Pentecost, Apostle Eric Nyamekye, has entreated the clergy to keep to the source of their calling, Jesus Christ so as to excel in ministry. According to him, keeping focused on Christ will help them keep to the standard and live above reproach in order to lead the flock that have been entrusted into their care. Apostle Eric Nyamekye said this when addressing participants of the 2018 Orientation for Ministers and Wives in Greater Accra Region at the Sophia McKeown Temple, La, Accra, on Tuesday, September 25, 2018. The event was attended by ministers and their wives from the Tema, Ashaiman, Teshie-Nungua, Madina and La Areas which constitute the Accra East section. The Areas which constitute the West, comprising Kaneshie, Dansoman, Odorkor, Achimota, Anyaa-Ablekuma, Kasoa and Down Town-Ofaakor, will have their turn on Wednesday, September 26. Exhorting the participants on some of the downsides of the ministry in the city, the Chairman charged them not to resort to craftiness to outwit the system, thus the policies and ministerial practices of the Church. Apostle Nyamekye noted that the terrain of the ministry in the cities and urban centres is rough, since Christianity has been polluted, pluralized, adulterated, and polarized due to false teachings. To be a successful leader-pastor in the city, he advised them to show leadership by harnessing all the gifts and graces available at their disposal in order to build a strong church. He further advised them to raise and build leadership teams to help them in the ministry. The Chairman also took them through the nitty-gritties of organising effective meetings in the church in their quest to mobilizing the people to achieve a collective goal. He quoted from several scriptures such as 2 Corinthians 4:1-2; 1 Timothy 4:12; 2 Timothy 1:3-4; 2 Corinthians 8: 20-21; Numbers 11:16-17, James 3: 17-18; Acts 6; Romans 12, among others. Other speakers at the event were the General Secretary, Apostle Alexander Nana Yaw Kumi-Larbi, and the International Missions Director (IMD), Apostle Emmanuel Gyesi-Addo, who took the participants through the policy affirmation document of the Church.